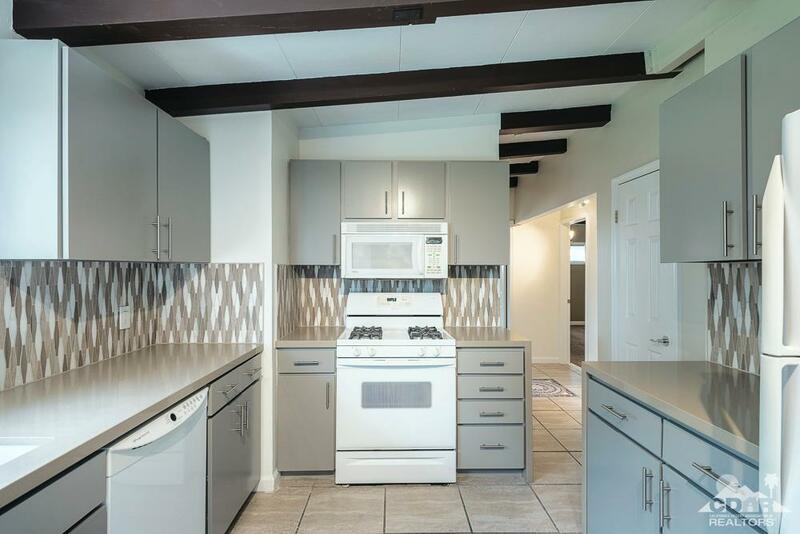 Newly updated mid-century 2 bedroom 1 bathroom home with living room and private dining room in Cathedral City Cove on Melrose Drive. 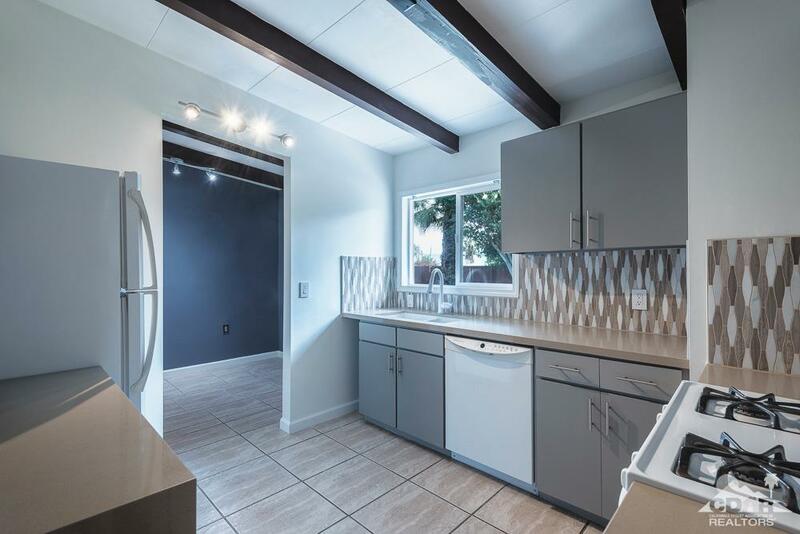 Tile flooring throughout house with tile inlay and carpet in the two bedrooms. 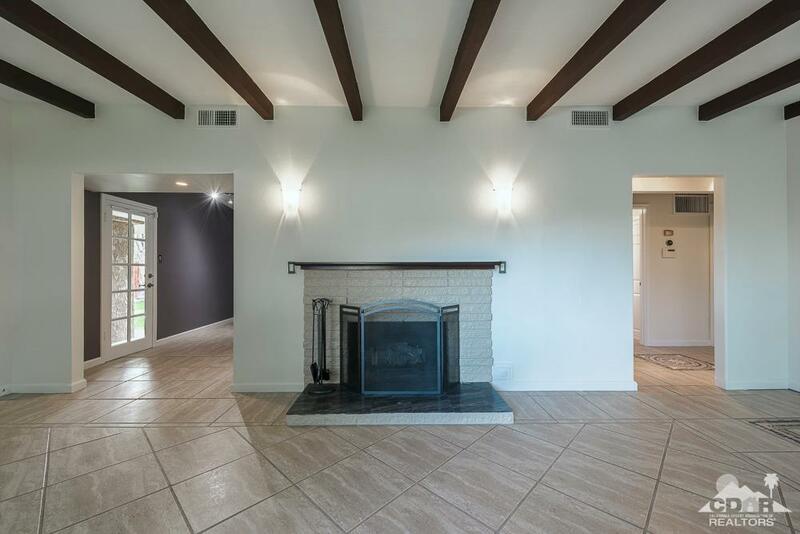 There are wood beamed ceilings and a large back yard big enough to put in a pool and spa and/or casita. You will find quartz counter tops in bathroom and kitchen. There are new cabinets, a new bathroom, new custom blinds, and a storage pantry in the kitchen. 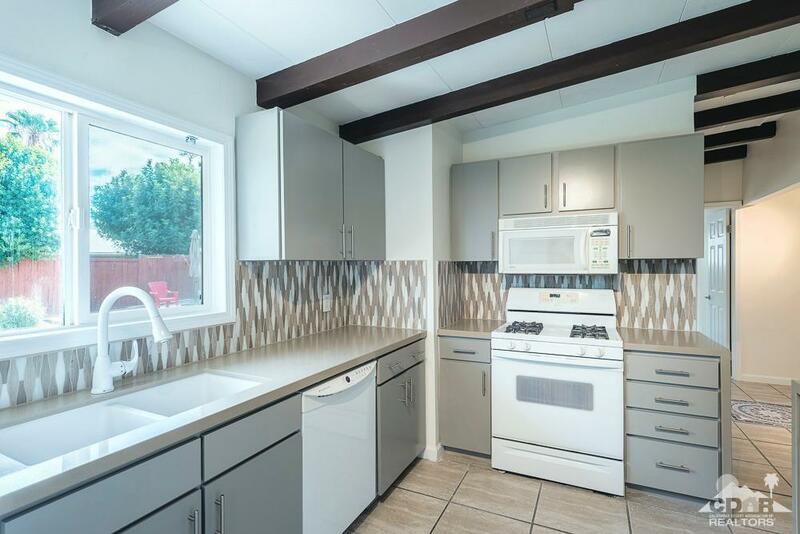 Stove, dishwasher, refrigerator, and microwave are all included. A new Nest thermostat has been recently installed. This home offers a lot of privacy and big front and back yards. There is a long driveway that can accommodate 3 cars including a single carport. Separate laundry room with washer and dryer included. A fresh coat of paint throughout now makes this home move-in ready. Hurry, this one will go fast. Cross Street Address Hillcrest And Melrose. Listing provided courtesy of Christina Cook of Bennion Deville Homes.